What a wonderful thing it is to be sure of one’s faith! 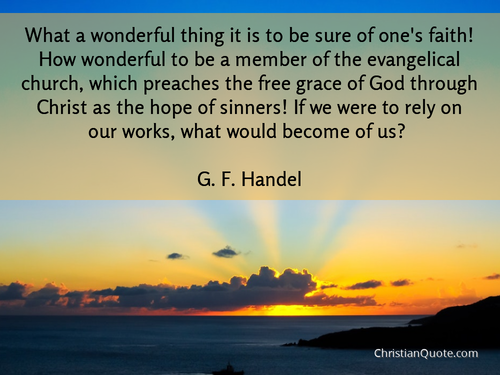 How wonderful to be a member of the evangelical church, which preaches the free grace of God through Christ as the hope of sinners! If we were to rely on our works, what would become of us?